Industry insider King Zell on game forum ResetEra hinted that we could see more information on any one of the following titles (or indeed all of them): Metroid Prime Trilogy HD, Fire Emblem Three Houses, Super Mario Maker 2, and possibly more on the next 2D Zelda game. We got a glimpse as new features lifted from other titles that were not included in the original such as the bell power-up in Super Mario 3D World. Metroid Prime 4 is in the works as well, but with development having been handed off to Retro Studios, who rebooted the project, it's safe to say we won't see a new Metroid for at least a year. As in how long we don't have to wait to play it. Most Switch owners are expecting to hear more about titles like Animal Crossing, Luigi's Mansion 3, and maybe even Pokemon if we're lucky. 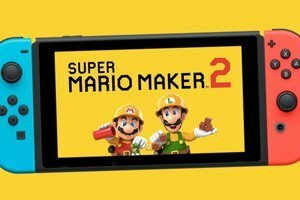 As stated above, Super Mario Maker 2 is set to release June 2019 for the Nintendo Switch. Join us, won't you? Tomorrow's Nintendo Direct presentation will last around 35 minutes and feature new details on Fire Emblem: Three Houses. That doesn't necessarily stop Nintendo from making a surprise 3DS announcement, but that seems unlikely given what the company has already said about the Direct.